The US Navy has severe problems to include a lack of warrior spirit. Last week, the Navy released the results of a lengthy investigation it had completed, concerning the conduct of one officer and nine enlisted sailors after they willingly surrendered their two Riverine Patrol Craft to the Iranians and were subsequently detained for 15 hours in the Persian Gulf last January. The Navy’s findings should have generated a media frenzy, but instead were quickly buried by the 300 foot rogue waves generated by the storm called the Hillary Clinton Email Scandal. The findings from the investigation are frightening and should concern all Americans about the state of our armed forces under President Obama. The engine on one of the two Navy patrol craft was broken before it ever left port. The crews had failed their most recent navigation exams. Several of the crew, including both captains, had either recently failed or not taken a required navigation exam and none of the crew had more than two hours of training on the navigation system. Navigation is a sailor’s bread and butter. Not knowing navigation is tantamount to a hockey player not knowing how to skate. The radios weren’t working. The two craft, Riverine Command Boats 802 and 805, left four hours late for their mission because they could not get their radios to work. This speaks volumes about poor non-commissioned officers, aka chiefs, who obviously weren’t ensuring that the radios had proper maintenance or were replaced. One wonders what the officer in charge, Lieutenant David Nartker was doing instead of checking on his boats’ equipment. None of the 10 sailors on either vessel had ever participated in a mission this long. 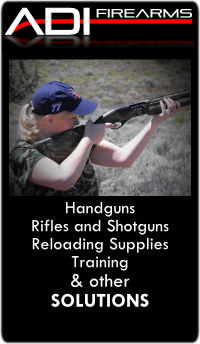 When the military spends all of its time on sensitivity training and other PC insanity, you lack time to conduct real training for war. As US Defense Watch has reported before, the US military is not focused on its mission, creating an organization that is internally feeble and projects weakness abroad. Boat 805 never bothered to log their route. No one looked at a paper map before departing, though it is required. The crews had already voiced their concerns: they weren’t ready for this mission. It would be the longest mission they’d conducted, and would require a nighttime refueling – another thing that they’d never done. Obviously, a real world mission in the Persian Gulf is a lot tougher than attending one of the military’s classes on why the Bible is a sexist document or conducting physical training with pregnancy simulators. Things quickly went from SNAFU to TARFU to FUBAR as they drifted into Iranian waters. At the critical moment when the navigation system identified Iran’s Farsi Island for them, none of the 10 picked up on that information because no one zoomed in on the island that the system was displaying. They also didn’t look at backup navigational charts on the boats or call in their location to one of their maritime operations centers. The crews thought they would go around the island. But boat 802’s engine experienced a dangerous oil pressure drop, and cut speed. Boat 805 also dropped speed and came alongside. Boat 802’s engine problems could have been fixed with the boat still moving, but the crew decided to stay put and fix the issue there. Despite the fact that they still had a visual on an unknown island and did not know their exact location, the boat captains did not have their gunners on watch to protect the craft while the repairs were under way. They thought repairs would take 20 minutes. A few minutes later, they saw two small patrol craft approaching. At 1,000 yards, the captain of boat 802 saw the incoming vessels had weapons. But he still did not tell his crews to take a defensive posture. He would later say he thought the vessels might have been friendly, from Saudi Arabia. Obviously, when you don’t look at charts and fail navigation exams you have no idea if you’re in Baja or Beijing. By the time the vessels were within 100 yards, the two U.S. boats manned their guns. Then they saw the blue flag of the Iranian Revolutionary Guard Corps. The U.S. crews started yelling, trying to communicate by pointing to their wrench and engine that they were broken down. This wasn’t an incursion. By then, two additional Iranian vessels were headed toward them. Lieutenant Nartker failed to order the crews to fire at least warning shots. Instead, Nartker did order the boats to speed away. But by then it was too late, the Iranians were able to block their vessel and had their weapons fixed on boat. The crew’s coxswain saw the Iranian’s AK-47s were close enough for him to see they were pointed at his gunner. When the captain wanted another attempt to go, the coxswain said no. “I tell the [boat 802] captain that we are not moving. [The boat 802 captain] said we just got to go and if they shoot through us then whatever. I am having this dumb conversation with him about how I am not going to drive. I am not going to get the [boat 802] gunner killed,” according to the investigation. At that point, Nartker started negotiating with the Iranians. Nartker’s cowardice immediately endangered his whole crew by delivering them into the hands of a nation led by psychopaths and religious zealots. He seemed more concerned about not harming Iranians than he was about doing his duty as a US Navy officer. The crews raised their hands and kneeled. The boats were boarded. Once on board, the Iranians tore down the U.S. flags and replaced them with their own. As they were filmed kneeling and bound, the female gunner on the crews activated the distress signal. The Iranians discovered her actions, and confiscated the device. What the investigation found was that Nartker should have had his crew in a defensive posture while the downed vessel was getting repaired. 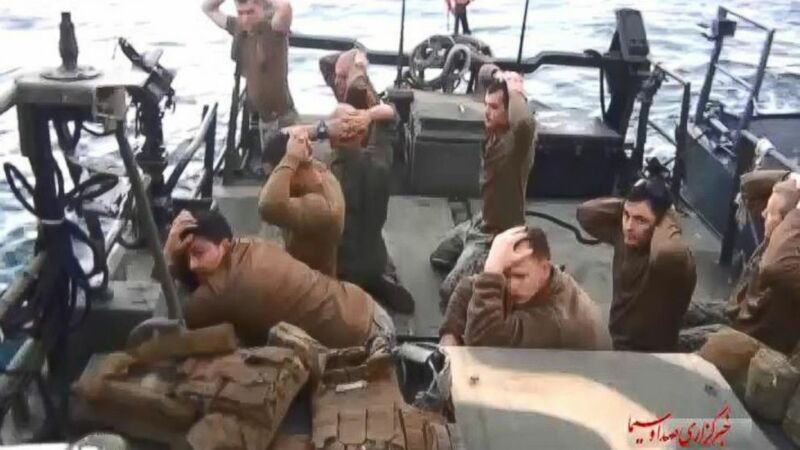 It did not rule on his decision to surrender the boats to the Iranians, noting the Defense Department’s Code of Conduct does not clearly outline what actions an officer should take in regards to surrender if the situation occurs in non-armed conflict. The Navy needs a reality check. While we are not in a declared war with Iran, they are the ENEMY, no matter what sick pill John Kerry tries to shove down the nation’s throat. The Code of Conduct clearly states how Nartker should have acted and he violated Articles II and V.
Nartker was in captivity for 15 hours and he submitted to making an apology. His acquiescence is worrisome. Does anyone in the Navy have any conception of how the Vietnam POW’s resisted North Vietnamese repeated attempts for them to make public apologies? Our POW’s in North Vietnam were routinely tortured for weeks or months until they broke and signed statements or agreed to be filmed. Nartker’s excuse was that the Iranians threatened not to release him and his men if he didn’t make a formal apology on worldwide TV. So what? Tough it out trooper. You’re in the Navy, not an employee of Quaker Oats. Nartker gave in and the Iranians never even laid a hand on him or his men. They didn’t have to. They knew they were dealing with a gutless coward. The report also found that the crew members improperly revealed passwords for laptops and cellphones and even sensitive technical details about their two ships, including their top speed, capabilities and missions, the report said. “It is clear that some, if not all, crew members provided at least some information to interrogators beyond name, rank, service number and date of birth,” the report said. The Navy might want to replace some of their unconscious bias and white privilege training back to Code of Conduct classes. In the aftermath, the Navy has recommended administrative actions against the task force commander and commodore, both of whom have already been carried out and both have been relieved of command. It has recommended its investigation be sent to each of the commands overseeing the executive officer directly responsible for the two boats, the captain of boat 805, and the coxswain of boat 805 who challenged the captain of boat 802’s decision to try to flee the Iranian vessels. The investigation found that Nartker failed in many of the expectations that the Navy had of him. But the Navy also reported the lieutenant’s relative inexperience, low rank at the time and the extreme situation should be put in the context of the lack of oversight or mentorship his commanders had afforded him. Wait a minute. David Nartker is a Lieutenant, not some green ensign with one week of active service under his belt. Nartker has been on active duty for several years. It’s his job to make tough decisions and to show courage. It’s also his job to look out for his crew. He failed at every task given to him. Younger men than Nartker, with much less experience and without the prized Annapolis training have performed heroically throughout the history of the Navy. The Navy needs to stop making excuses for the poor conduct of its officers. Apparently, the female gunner in Nartker’s crew was the only one who seemed to understand their duty and who exhibited courage. The fallout from the incident has already resulted in the removal of the commodore and executive officer responsible for the vessels, Capt. Kyle Moses and Cmdr. Eric Rasch. A third officer who was in charge of the detachment in Kuwait, who was not named, was also relieved of command, Chief of Naval Operations Adm. John Richardson announced Thursday in a news briefing on the investigation findings. The incident in the Persian Gulf last January should be a wake-up call for the US Navy. Not only were the sailors and officers in question lacking in training, they also had a desultory mentality toward maintenance of their equipment. When called upon to act courageously, they conducted themselves poorly and disgraced their service and their country while in captivity. The US Navy has severe problems. This incident may have been isolated, but it speaks volumes about the declining readiness and warrior spirit in our military. Should we be surprised? This is the type of military you get when the White House and the Pentagon are more focused on social engineering than training for war.